The Magic playlist rolls from one all-time hit to the next…. not only bringing back memories and past experiences to you, but also creating new ones. Our presenters guide you through the magic journey of music and memories, switching tracks and providing entertainment for one and all. 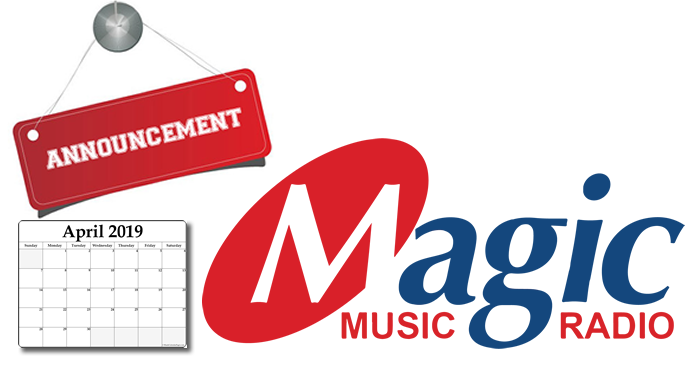 As we prepare to announce changes to our line-up over the next few weeks, we say goodbye to Dave Guselli and Kevin Savage, who have left ‘Magic in the Morning’ and ‘Magic Drive’ respectively. Keep an ear open for more changes coming April 2019…..